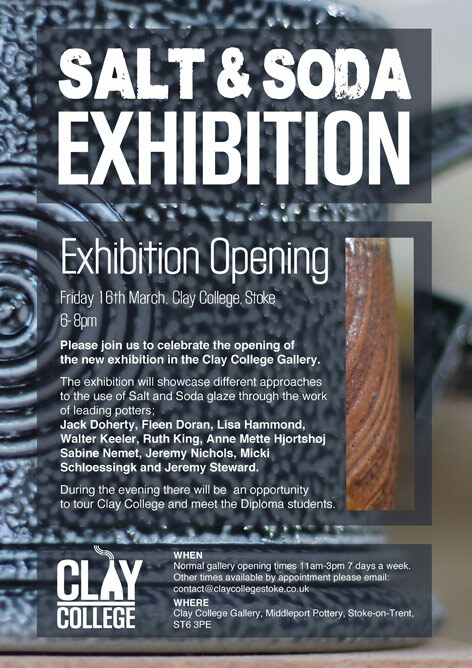 I’ll be exhibiting alongside a top line up of Salt/Soda Glaze artists in the all new, all singing all dancing Gallery of Clay College Stoke, opening Friday 16th March 2018. 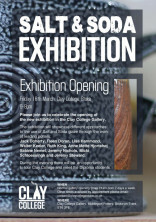 Well worth a trip out, and an opportunity to visit the facilities of the new course at the Middleport site. Exciting times in the development of studio pottery education.